Collins Booksellers - Brain Training: Fascinating Tips For Memory Improvement, Concentration, Mental Clarity, Neuroplasticity, And Mind Power by Andrew Hayes, 9781386298090. Buy this book online. Let discover how easy it is to remember long dated histories, phone numbers and figures. 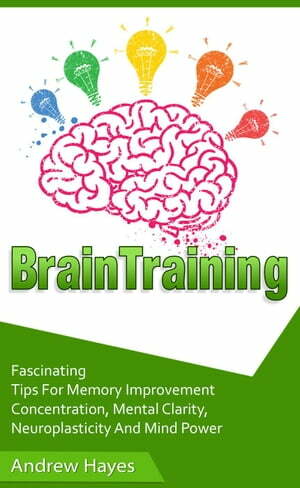 This incredible book is particularly emphasizing on various effective ways of boosting up your memory and to sorting out your memory and concentration problems. Feel ease in setting down the appointment dates within your head. Get to know about 2oth century’s greatest discovery of neouroplasticity and let your mental wounds heal up immediately. Don’t let the trauma to make you dumb, do follow the patterns of this book and shine in the classroom and dominate the social situations. Don’t give your life’s remote control to metal problems – get ready to boost up your concentration level through natural techniques. Make your plays as a way of boosting up your mental capacity. Play Sudoku and let your brain get trained.